Luxetips Automobiles! Danica Patrick Teams Up With The New 2014 Can-Am Spyder RT « LUXETIPS! | Every Woman Deserves To Live The Luxe Life! Happy Friday! I hope you have gorgeous weather wherever you are! The Can-Am Spyder motorbike is all the rage right now. If you love the open air and speed, this is the perfect Summer fun vehicle for you. 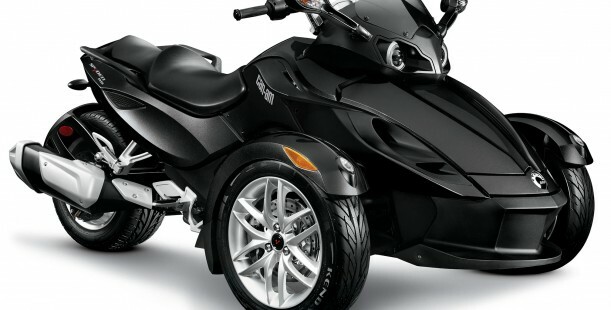 The Can-Am Spyder is the only vehicle with a Y-frame design and seven automotive technologies, allowing for open-road riding and a greater sense of control. The new 2014 Can-Am Spyder RT features a new Rotax® 1330 ACE™ engine and new 6-speed transmission. Embroided Limited Seat with Select Colors. Spyder has tapped high performance race superstar, Danica Patrick, to represent the brand and in the below video, she demonstrates how the Can-Am Spyder RT can be used by celebrities and us regular folks too, to quickly get out of a jam! Funny!